104.3 The Edge Radio is a music FM radio station owned and operated by United Christian Broadcasters in the Philippines. 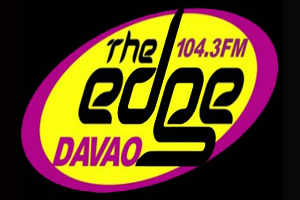 The Edge Radio Davao gives a positive alternative to your everyday music. Related Streaming. Music is the soundtrack to your life. Listen to the best selection of songs from then and now. The variety is just what you need. Welcome to the magical world of radio. It's been around for more than a century. With different technologies challenging in the past, yet still is strong than ever. Take a listen to your favorite songs. Thanks for always believing in radio. The most powerful medium on earth.